A limited number of plants can live in the benthic zone at the bottom of the ocean. The majority of plants can only live in water that's shallow enough to let in sunlight, which they require for photosynthesis, the process by which plants produce nutrients. Some 60 species of seagrass live in silt or sandy soil in shallow water where they can get sunlight. Their roots are strong enough to withstand ocean currents and waves. They also have leaves, flowers and seeds. Both their roots and leaves take in water and nutrients. Seagrass cannot survive without water. Eel grass (Zostera marina), the dominant seagrass in the North Atlantic, forms meadows on soft sediment in the bottom of sheltered bays. Turtle grass (Thallassia testudinum) is the most common seagrass off the Florida coast and throughout the Caribbean and the Gulf of Mexico. It can live 30 feet deep on sandy bottoms where it forms extensive meadows. Shoal grass (Halodule wrightii) grows in salty water in tidal flats. It is found in the Indian ocean, off the northwest coast of Africa, along the coast of South America and the west coast of Mexico. The word “algae” is a popular term, not a scientific one. Algae produce food through photosynthesis but reproduce by spores, not seeds. Algae have historically been considered simple plants. Many biologists now classify them in the kingdom Protista and call them “photosynthetic protists.” One definition holds that algae that have more than one cell are plants. The question of whether or not algae are plants remains unsettled as taxonomy, the science of classification, is constantly revising the definition of life forms based on continuing analysis of DNA. Brown algae kelp, an abundant seaweed in oceans around the world, grows in slick, wide ribbons that drift in shallow water. Small red algae seaweed are common in both tropical and temperate waters. Phycoerythrin, which gives them their red color, makes it possible for them to conduct in the dim light of deeper waters. 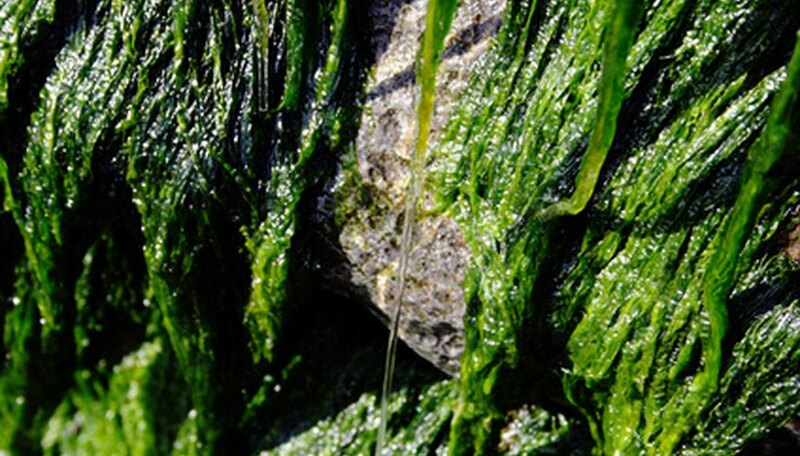 The more than 800 species of green algae seaweed, including sea lettuce, get their green color from chlorophyll. They are more common in fresh water than in the ocean, where they are found on the bottom of sandy and rocky pools along the shoreline.